Acupuncture is a treatment based on the Chinese theory that an essential energy called Qi (pronounced Chee) moves through the body along channels or "meridians" . Painful afflictions and illnesses result when Qi is out of balance or blocked. Stimulation of specific points in the meridian can correct this energy flow to restore or optimize health. Stimulation of these acupuncture points can be achieved by inserting needles into the skin at precise points (called "needle acupuncture"). These points can also be stimulated by a gentle electrical current (called "electrical acupuncture") or deep massage of the points (called "acupressure"). Treatment of specific condition or pain symptoms by stimulating acupuncture points with very fine needles. Usually very little, if any, pain associated with this treatment. Treatment of specific condition or pain syndrome by stimulating acupuncture points with a gentle electrical current. Usually very little, or no discomfort associated with this treatment. Electro-Meridian imaging using sophisticated computer analysis, to measure activity of all 12 meridians of the body. Then specific treatment and overall balancing of the body's meridians is performed based on these findings. Patients may need several treatments, depending on the condition being treated and patients response to the treatment. For wellness care, periodic acupuncture treatment several times a year can aid in achieving optimum health and balance. Dr. Karen Bavaro-Lawlor is a Chiropractic Physician in private practice in Woodbury,CT. She has a Bachelor of Science degree and is a graduate of Palmer College of Chiropractic where she received her Doctor of Chiropractic degree. She studied advanced professional studied Neurology and was awarded a "Diplomate the American Chiropractic Academy of Neurology" in 1993. Dr. Bavaro-Lawlor completed her acupuncture training through the International Academy of Clinical Acupuncture in 1998. She is pleased to add this service to her scope of practice. 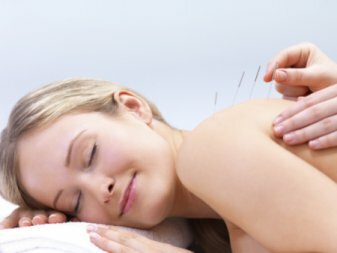 While we do recognize that these services are essential to our healthcare, most insurance companies do not recognize acupuncture as a payable medical service. Our office has designed a receipt for our patients who wish to try and submit these services directly themselves. Should you have any questions please ask a staff member. Our prices are listed below.